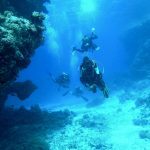 When it comes to diving holidays in Tenerife, at Dive and Sea Tenerife, we have it all covered! In the local area there are hostels, B&B’s, apartments and hotels. With a selection of apartments and studio’s including, 1 bedroom, 2 bedroom, 3 bedroom and even villas sleeping 10 persons, at unbeatable prices your diving holiday will be off to a great start. Once you have decided on what type of apartment you want, we can then arrange your diving requirements. Looking to book a course? Or some great diving? Whatever your needs we will arrange it all to suit you. We wont just look after your apartments and diving, how else can we help you? Excursions, car hire, bus timetables, arrange a taxi and even show you the best places to eat and drink, all of this is part of the experience you can expect form us. We offer great discounts to groups of divers, so if you are University Dive Club, a Dive Club or just a group of friends, contact us to discuss you requirements. Don’t dive? We understand that not everyone dives, still no problem, we can still arrange your holiday accommodation for you. The resorts of Golf Del Sur and Amarilla Golf are located close to the South Airport and are renowned for the Golf courses and the new marina. Many restaurants, bars , apartments, and hotels, service the area and there its lot’s to do including Scuba Diving, Submarine trip’s, Horse riding, and watersports. Please click below to choose your complex / Apartment. Terrazas De La Paz ~ 1 Bedroom Apartments / 2 Bedroom Apartments ~ Golf Del Sur, Tenerife. Sunset View ~ 1 Bedroom Apartments ~ Golf Del Sur, Tenerife. Aquamarina ~ 1 Bedroom Apartments ~ Golf Del Sur, Tenerife. Las Adelfas One ~ 1 Bedroom Apartments ~ Golf Del Sur, Tenerife. Biltmore ~ 2 Bedroom Apartments / 3 Bedroom Apartments / 4 Bedroom Apartments ~ Las Chafiras, Tenerife. Golf Del Sur Villa ~ Sleeps 10 ~ Golf Del Sur, Tenerife. Want to know more or want to book? Contact us here.